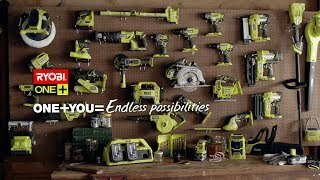 Tackle all your DIY tasks with the Ryobi 18V ONE+ 2 Piece combo kit. They'll help make light work of every home improvement project. The drill driver in this kit offers you enough power for those daily jobs around the house, while the impact driver is perfect for those jobs where you need a bit more torque, like driving in large bugle and decking screws. This 2 piece combo kit is the perfect start into the ONE+ range of power tools. The included charger and batteries are compatible with more than 70 other RYOBI tool consoles. That makes this platform great value for money as you expand your collection of tools. Pick it up from your local Bunnings Warehouse today.